Is English Hard to Learn for Foreigners? – Of Course Not! I believe that all languages are easy to learn. If a dog or a little kid can learn new languages, then an educated adult can for sure learn much more and faster. It only depends on three things: right mindset, practice, and right methods. You can learn any language if you have the right mindset. Even though you would have right methods but the wrong mindset (full of excuses) it can be hard to learn anything new. Is English Hard to Learn for Foreigners? When comparing different languages with each other, I have heard that English would be somehow hard to learn. I don’t agree. English wast the first language that I learned and there were times when it felt very hard. I remember that I was afraid of going to some English lesson because I was scared of speaking it. The problem was not in English language but in my mind. When I found Benny Lewis and his Fluent in Three months teachings, my language skills skyrocketed. I learned English, Spanish, French, Swedish and German much faster than ever before by using even less time. Something had changed in my mind. Today I am going to show you a great language guide by Benny Lewis called Why English Is Easy. Lewis also believes that languages are easy even though he wasn’t able to speak more than 1 language when he was 21 years old. What Is “Why English Is Easy”? Why English Is Easy is a part of Benny Lewis “Why X Is Easy” -series. We have already published a review of Italian, Chinese, French, German and Spanish on LanguagesAreEasy.com. English is the sixth one and then we have reviewed all of those programs. This English language guide by Lewis is pretty similar to other ones in the series. 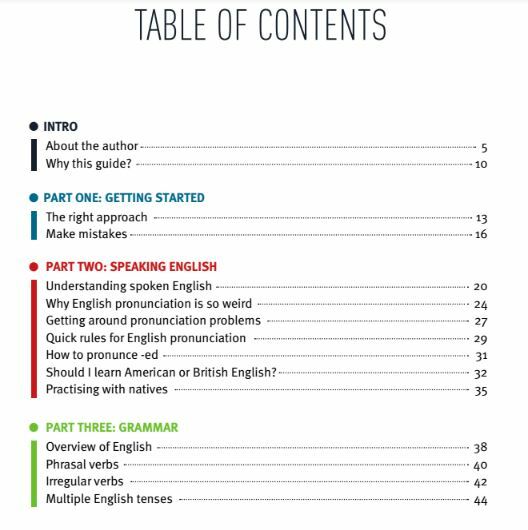 The guide consists of Why English Is Easy -eBook, English Digital Immersion Setup Guide, and English Online Immersion Sample Daily Schedule. But there’s one big extra on this program. You have also available Italian, Russian, Portuguese and Spanish translation for each part of the guide. So, even though you wouldn’t understand enough English, you can maybe read it in your mother tongue if it’s one of those. Or if you are studying one of that language, it’s a great exercise to read the guide in your target language. English version is a little bit different than Spanish version, for example, because Lewis wants to give each speaker personalized examples. Learning is always associating new information with something that you already know. It’s especially true with language learning. Because many languages have lots of similarities in vocabulary, pronunciation, grammar and other things. The author of this English language guide is a world-famous language guru, Brendan “Benny” Lewis. However, he hasn’t always been a such a good language learner. When he was 21 years old, he was only able to speak his mother tongue, English. In addition, he even struggled with English pronunciation when he was growing up and challenges with pronouncing the English R until he was a few years into primary school. At school, English was his weakest subject. But the things has changed. 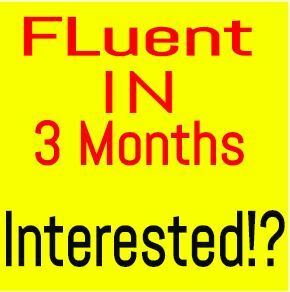 Nowadays Benny speaks more than 13 languages, he is the owner of the world’s biggest and most famous language learning blog, he has created several courses and books for language learners (check out Fluent In 3 Months, my #1 recommendation). He has also worked as a professional translator, a professional English teacher infamous schools like Berlitz and the Wall Street Institute and taught hundreds of private students worldwide. We must admit that Benny has lots of merits and authority in language learning. In the pictures above, you can see the content of Benny’s eBook. He gives tips on having the right mindset, speaking English and how to avoid most common pitfalls, how to master English grammar and how to remember English words. Each part will give you lots of very practical and down-to-earth tips. The best aspect of Benny’s teaching is in my opinion that he doesn’t concentrate too much on “academic” language but rather how you can use the language easily. It’s not necessary to know how to speak the right “Oxford English”. The most important thing is always to get your message through. As you probably notice, I am not English native speaker either and I still make some grammatical mistakes even though I use English more than other languages. It doesn’t matter how grammatically “perfect” is your English if people understand what you are saying. Why Is English Easy to Learn for Foreigners? First of all, for European learners like Spanish, French and German speakers English shouldn’t be hard at all. 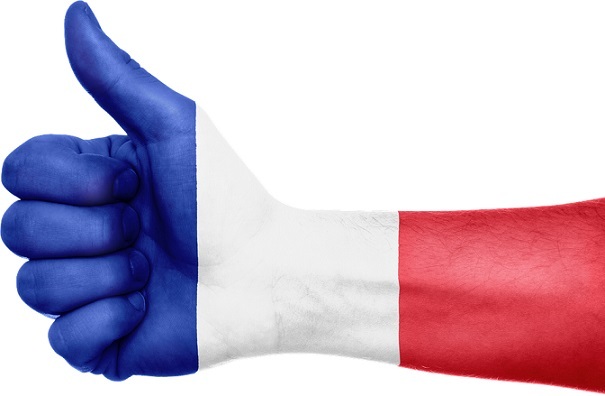 Did you know that 70% words in English have come from French? The reason that some French people have with learning English is not the difficulty of the language but their wrong mindset. How fast you learn a new language depends at least 80% on your mindset and only 20% on techniques and methods. Even though you wouldn’t be from one of those countries that have a relative language with English, it’s still an easy language for you. One thing that makes English easy to learn is grammar. English doesn’t have genders, cases, different tones and there are only a few irregular plurals. If you compare to almost any languages, they have many of those “specialties” that English doesn’t have. English is also the studied language in the world. You can find English speakers in every city and it’s very easy to find English tutors or language partners online. More than 50% of the whole Internet is written and spoken in English. It’s the most used language in the world. You can always find movies, books, music and any kind of material to practice English wherever you are. Who Is the Why English Is Easy for? => Get Why English Is Easy Today! What Is the Price of Why English Is Easy? Benny’s English language guide costs $37 like his other 5 language guides. The price in total would be $222 if you buy all his guides one by one. In my opinion, it’s too much. That’s why I recommend getting “Why X Is Easy” -bundle where you’ll get all 6 language guides. In addition, you will get a Conversation Countdown-course which teaches you to speak a foreign language in one week. The value of that course is $67. So, if you buy Why X Is Easy, you only pay $67 and you’ll save $222 because you don’t need to buy all courses one buy one and you get Conversation Countdown for free. But there’s even a better option what I have done myself. I bought Fluent in 3 Months premium course so I got all “Why X Is Easy” guides, full access to FI3M-premium area and tons of other material for learning new languages. If that course doesn’t give you a breakthrough with languages nothing will ;). It’s so powerful. Conclusion – Is English Hard to Learn for Foreigners? Of course, you can live a life while doing something else than learning languages. That’s also fine if that’s what you want. But I want to make sure that you understand how easily you can learn languages when you have the right mindset and good techniques. Only the sky is the limit. There are guys who speak 40 or even 50 languages fluently so you can for sure learn a few new ones if you just want. Are you studying English? How did you learn it? Why is English easy in your opinion? In my opinion the ease of which learn languages is very individual. My native language is Swedish and I now speak fluent English and French and a little German but I can tell you I struggled to get there. I spent several years studying English in school but it was not until I spent one year in Australia that I started to speak English fluently. French was another struggle. It took about 2 years lvining in Belgium until my French was fluent. In my experience kids learn languages way faster than adults. They just learn automatically where as adults seem struggle to remember what they learn. If the method you mention could help me, then I would like to learn Wolof, a common African language that my wife speaks. (I tried to learn this but it was difficult. do you know why the kids that have learned languages faster than the adults that you have known? It’s because of their attitude. Like I said in a text, learning languages depends 80% on the right mindset and only 20% about techniques and methods. Most of the time kids have a better mindset than adults and they are not making excuse. They are willing to make mistakes but many adults are afraid of mistakes. But if a kid and an adult have a similar mindset, then an adult will learn faster for sure. That’s my and many other polyglot’s experience. I am sure that Benny’s Fluent in 3 Months -Course will open your eyes. I am sure that after going through the course you will say that learning languages is easy for anyone. I had similar thoughts as you have right now but then I realized that I had a limited mindset. Benny opened my eyes. Almost everything depends on the mindset. So, his course will for sure help you to learn Wolof or any other languages faster and more easily. I took a quick search on Google and I saw that the Internet is also full of learning resources for Wolof. You have a great opportunity to learn it if your wife is speaking it also. Then you can practice it very easily every day if you want. Wish you all the best with your Wolof studies! English is easy. You just need to read some books and the dictionary to widen your vocabulary. I thought you were going to teach us English in this article but was I wrong it was a review of the Why English Is Easy. Apart from the English language I speak 2 other languages, your review about this product is very new to me and looking forward to reading at some of the others as well, I’ve bookmarked your website, thank you for this review, I think its a great product. yeah, I didn’t teach English in this article but Benny’s English language guide gives lots of tools for learning. His methods revolutionized the way I learn languages. I felt the huge improvement in the speed that I learn, for example. Learning a language is a huge undertaking. Like climbing a mountain when you look up from the bottom it looks impossible. When you have the right mindset and believe that it’s possible, then you work at it and start knocking things out one at a time. Then before you know it you are conversing in the new language. I was 41 years old when I learned my second language. 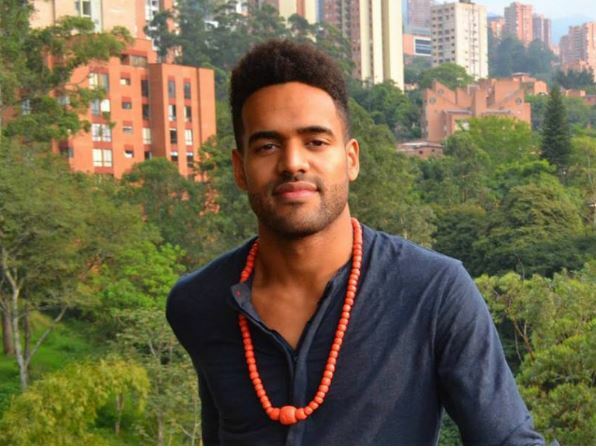 I had to go to South America to immerse myself and get to the point that I could speak Spanish. Now I speak it everyday. My wife only speaks Spanish. She could use this English course. I’m happy to hear how you learned your second language, Spanish, when you were 41 years old. It again proves a point that we can learn languages despite of our age. 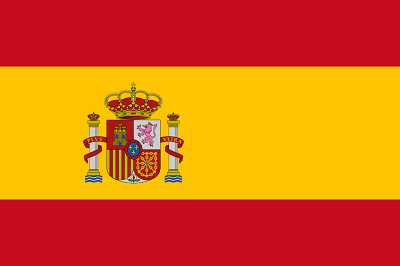 Spanish is a wonderful language and I enjoy speaking it as well. I don’t know if I’ve ever seen any language course that addresses the issue of mindset. So many people hear that something is difficult and they just automatically lock into that block. Many people also get caught up in not wanting to practice a new language because they think they need to be perfect. With the internet shrinking our world, I think most people just look past it. The shrinking world also makes me consider the bundled course instead of just the English course. I agree that the world is “getting smaller” year by year. I take it as a very positive thing. It’s easier to get to know people from all around the world, learn new languages, travel and do other awesome things. Excellent information, Roope! I have a Japanese friend learning English who struggles with R’s, L’s, and other common mispronunciations, as well as basic understandings of English the way it is actually spoken by native speakers. They learned “formal English” in Japan through a Japanese English teacher. So, when they came to America, they were lost because everyone speaks “casual English”, filled with idioms and slang. Question: Does Benny’s course also cover idioms and slang usage? I think my friend would find that to be a tremendous help! The right pronunciation comes over the time course. If not, your friend can have a look at Mimic Method. in my opinion, it only requires practice. The more you practice, the better you become. If somebody has difficulties with learning, he needs to change the technique or just practice more. Learning languages is like living a life you just need to be in correct rhythm, and practice. It means working on related things like reading magazines watching movies especially dubbed once and reading related books just like your example. That’s true. Many people say that when you study a new language, you start even thinking in your target language instead of in your native language. You are “breathing” a new language in and out. Being a native Spanish speaker, and having also studied French and German until know, I can assure English is the easiest language to learn. There’s no need for assisting a course since you can learn it at the comfort of your home. This technique that you mentioned is worth paying as long as you also practice by yourself. Since english is very popular, you can easily practice it everyday surfing on the internet, listening to music and watching movies, and that’s my main recommendation for anyone who’s eager to learn the language. yeah, English is so easy to learn nowadays because you will hear it everywhere whether you want it or not. It’s extremely to find language partners and tutors to practice with. It will be interesting to see how things will evolve in the future and see if almost all people in the world will be able to speak English. I believe that all languages are easy as well. If someone has the will to learn a language he is going to achieve his goal. Guides are very helpful to beginners but the next part is the most difficult. What’s that? Learn the grammar of a specific language correctly. That’s where most people give up. In order to continue his goal someone has to find help from a friend that speaks the language already and try to communicate with him every single day. That way he will speed up the learning curve of the language. Internet is a medium that helps us communicate with people from around the world! Do not be afraid to use it for your own good, built friendships that will help you learn not only the language but also the culture of someone’s country. Thanks for reading my comment. Keep up the good work Roope! great points. Internet really makes language learning easier than it has ever been before. Anyone can find language partners even in a few minutes. Italki and Preply are two great ways to learn language partners and tutors. Truth be told, languages are easy as long as you have the required drive to learn them. However English is especially easy to learn because it is pretty much everywhere. Video games, movies, magazines, YouTube videos and the whole internet is ruled by this beautiful language and that only makes it easier for people to learn it. Leaving aside how spread it is, it is not a hard language at it’s core, and from some point on it comes rather naturally, and how could we not love that? You underline also a good point that nowadays learning English (and all other languages as well) is easier than ever before in the human history because of all resources on the Internet. One of the hardest things about English is that although there are rules, there are lots of exceptions to those rules – so just when you think you’ve got to grips with a rule, something comes along to shatter what you thought you knew by contradicting it. A good example is a rule for remembering whether a word is spelled “ie” or “ei”: “I before E except after C”. This “believe” and “receipt”. But this is English – it’s not as simple as that. What about “science”? Or “weird”? Or “seize”? There are loads of irregular verbs, too, such as “fought”, which is the past tense of “fight”, while the past tense of “light” is “lit”. So learning English isn’t just a question of learning the rules – it’s about learning the many exceptions to the rules. The numerous exceptions make it difficult to apply existing knowledge and use the same principle with a new word, so it’s harder to make quick progress. you’ve found interesting points. You know, there are some exceptions in every language. In addition, people will anyway understand from the context what you are meaning even though you would mess up 1 letter. And if you are writing an official text, you can always check it from the dictionary. That’s why I think it’s pretty easy after all. It depends on your attitude. If you concentrate on hard things all day long, it may feel like hard. But I recommend just studying things as they are and practice will make progress. Im a filipino and I work as a call center agent, At first I find it hard to speak with other nations but when time passes I find it easier to listen with other foreigners and understand their spoken words. Im not fluent in english but they can easily understand me when I talk slowly. This site is great for english learners from other countries. Great job! I agree with you that at first, it can be challenging to understand some other English accents. When I got to know some Nigerian people I was a little bit confused because I didn’t fully understand their accent. But over the time course, I got used to their accent and now it’s easier. So, I had the same experience like you had. I am also a filipino and a student as well here in the Philippines. In our country most of the Filipinos don’t know how to talk in English due to not coming in school because of financial problem. As a Filipino it is easy to learn English language if you study it well. Because any person can learn anything if you have courage to learn new things and achieved what you want. Anything is possible. it’s interesting to hear that some Filipino students don’t speak English. I’ve heard from other sources that almost all people in Philippines can speak it. Anyhow, I really like your attitude. We can learn anything we set our mind to. I have many examples from my own life with languages but also with other skills as well. Once I was a bad swimmer but then I decided to learn and I became one of the best quite quickly. Practice and persistence is key to mastering any skill. Hi. I’m from the Philippines. I can say that English is easy since from the start in school like we are at kindergarten level we are taught already on how to speak English basics up until we are in colleges. That is why as well there are a lot of call center or BPO (business process outsourcing) companies here in the Philippines since we are fluent in English. I see. I’ve also heard that almost all people in the Philippines speak fluent English. I haven’t yet visited there but I’m sure that in the future I will. Indeed! English Language in the Philippines not only revolutionize but evolve in a way that most Filipinos are so in to Specific Grammars rather than English Language’s true purpose which is ‘communication’. I believe nothing is hard if you put your heart into it. I’m a Filipina and English is my second language. 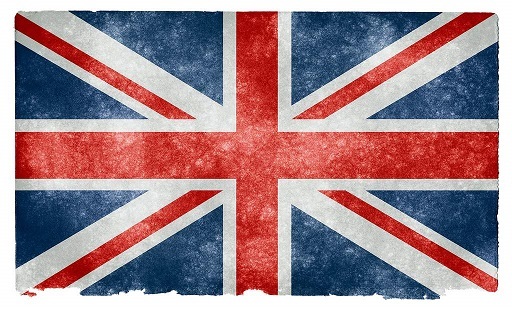 Unlike others I didn’t spend years living in “English-countries” just to learn the language, I learned it from school. Filipino culture believes that if you know how to speak, read or write English, you will be more capable of entering industries and look for a perfect job. English is a subject that’s not new to Filipino students and it has been part of our school life. So yeah, for me, English is definitely easy. I really like the fact that almost all filipinos speak English. It makes it easier for you to connect with other people all around the world. It’s also easier for foreigners to visit your country because local people speak English. I think that people everywhere should learn to speak English because it opens so many doors and possibilities. English is a second language for me, however, I use English as my working language. As a writer, I have written and published over 1000 English articles on newspapers and online platforms. When I started writing, I did not choose English, I wrote in Nepali, my mother tongue. However, later, I picked up English as my main language. English was the language of the elite and I wanted to gain readership among the intellectuals. I don’t know whether English is easy or difficult, however, after many years of writing in English, I am more comfortable with English than my first language. Wow over 1,000 English articles is pretty impressive. You have a strong expertise in writing. When I started building websites on the Internet, I started right away in English even though it’s not my strongest language. I thought that by producing content in English I can reach much more people in the world. There are only around 8-9 million Finnish (my native language) speakers in the world so I influence would probably be much smaller if I would produce in Finnish. After all, my goal is to reach millions of people all around the world. English an Internet makes it possible. I write in English. Most of my clients are from the United States, United Kingdom, Canada, and Australia, where English is the primary language. Since they are satisfied with my work, I believe I have good skills in English. However, I know my shortcomings. I may be able to write good English articles, however, I am not good with spoken language. I am always looking forward to improve my conversation skills. I see. You are right that writing and speaking skills are two different things. When you have a good foundation with writing skills it also helps with speaking. Have you used Italki or Hellotalk for practicing English? hello Roope, I have checked your articles on Italki and Hellotalk, however, I am yet to join these programs to improve my English skills. I began learning English and Nepali (my mother tongue) at the same time. However, I am fluent in Nepal but have stilted English. That’s because I use Nepali more than Englihs. The only way to importve your language skills is by using it as much as you can. Yes, you will only learn a new language by using it. If you want to learn English, it really doesn’t take much effort to create a free profile on Italki or on Hellotalk. You’ll find tons of English speakers who want to practice with you. English is indeed a big thing in all societies in this modern world, as it is the main medium for connecting all the people around the world for any types of interest and intentions they have. What is most interesting is that it can deliver most of the people dreams to realization by the mastery of this language. English, on the other hand, can be challenging and easy to master depending on a person’s level of determination to learn the language and be better on it, gets us back to the idea that practice makes you perfect. I think English is one of the easiest languages to learn for anyone because the world is full of awesome resources that will help you to learn it. In addition, it’s so helpful language for most people that it wouldn’t be challenging to find the motivation to learn it. Of course, if somebody is living in the desert and only communicating with 10 local people the whole his life, he wouldn’t need to learn English. But I think that kind of situation is just an exception. English is the most commonly spoken language in the world. One out of five people can speak or at least understand English! English is also the language of the Internet. Many websites are written in English – you will be able to understand them and to take part in forums and discussions. English is easy and fun to learn. English can be adopted just by watching videos online or having connection with people who knows how to speak in English. Here in the our place it is required to learn how to speak in English. That is why we are learning it because we can easily adopt to other places and communicate well and understand other people. English language is the universal language and we always hear it in television, on the radio, in the internet, and it’s not really hard to understand it compared to other languages that we do not hear everyday. I’m not from an English-speaking country but we study English language from first grade to college, it’s a good thing we have it here because we can converse to other nationalities without language barrier. America is the most influential nation in the world so English is not that hard to learn. Because of their influence in the field of movies, books, military and politics many of the other nation adopt their language, English. At first learning English is very hard specially growing up in a place where people rarely use English as a communication language. Years passed by some people around our place are learning on how to speak some basic English, at the same time teaching young people on how to speak English language. For me, learning English language is not an easy thing to do, however if the person really want to learn it then they need to do it with willingness. you still have the Internet, right? That’s full of resources that make learning English a breeze. But I agree that in many countries people still don’t practice English so much. For example, in Latin America people mostly speak Spanish and Portuguese. I’ve been surprised that even some young Brazilians don’t speak English. I won’t say am learning English language right now, I’ve been doing that all my life. Though English isn’t my primary language, I grew up with it. And that’s why i agree with your conclusion, English is the most easiest language to learn on the planet. However, other language speaking foreigners might find English language a little tricky to learn and it’s mostly because of the mix up in American and British English. But with the right tools like the various guides you recommend, almost everyone will find English language easy to learn. you are right that there are many different dialects and accents in English: American, British, Nigerian, Australian, Ethiopian, etc. I always think that there isn’t the “perfect dialect”. The most important thing is that you get your message through. A new dialect can be a bit tricky in the beginning but you’ll get used to it quickly. Completely ture. I just felt the need to reply your comment for one reason, you mentioned my country, Nigeria. It just feels good to hear a foreigner call my country for a good reason. English is very easy to learn. But I am not learning it professionally. It’s just a fun to learn English. I can speak English freely and confidently no matter I spoke it that wrong. The key to learn English is to listen to English people. That’s great. I also strongly believe that mistakes don’t matter when speaking any language. The most important is that you get your message through. Finnish is my native language but I still don’t speak “perfect” Finnish because I speak it with a dialect. That’s the same with any language. Hi, I’m Ikka. For me, English is easy to learn. Here in my country has a lot of access to study and practice the English language. It is not my first language but it’s very interesting to use. Just practice and practice, doing it on a daily basis. I used this language from school until I got my job. It really helps me a lot. I’m happy to hear that English has been easy and helpful for you. Yes it’s hard as long yourself doing a hard work to learn English. For me English can make you brilliant being a creativity. There is a lot of words and letters to create. And there is also a discrimination in Asian because the grammar will interact to their language. I’m a Filipino currently learning this English Language because it’s our treasure to have a work in our country. For me of all the foreign languages i tried learning, English is the easiest and fastest language i learned. Not only because it is the global language to communicate with all native languages, but also eversince from my elementary education it was taught already by my teachers no wonder why i learned a lot of terminologies in this particular language. It is very useful to learn because through this i can able communicate with my cousins outside the country. Great to hear that you’ve learned English easily. English is easy, Because here in Philippines we have a englsih subject thats why we easily communicate with other country. Same here. I think English is the easiest language ever to learn. It’s the most popular and widely spoken language in almost every part of the earth. Finding an English learning partner won’t be an issue for those looking to speak like natives. We have English subject in the Philippines, that’s why all people who studied very well in their class have excellent English language knowledge. Learning English language is not easy but fun. Because having the knowledge of English language is the way to communicate other people in every country. That is the reason why English is called Universal language. I think it has largely to do with the learner’s mother’s tongue. Some aspect of English can be hard. it is the same with other languages. But it could be even harder if you start comparing learning English with another language. It is just like comparing an average tall person (177cm) with an NBL player. A 177cm person is tall. It is when you start comparing, that is when you have a problem. That’s an interesting point of view! You are right. A Spanish/French person can most likely learn English faster than a Finnish person (I am from Finland) but after all it depends on the efforts that each individual is ready to put in. Personally, I find English to be very tricky. There is a reason we have 13 years in grade school to learn the language! There are so many rules that need to be memorized and over time, the English language changes. I feel that is probably why a lot of people find English to be a difficult language to learn. English is not necessarily set in stone like other languages such as Hebrew or Arabic. I feel that English will develop as time progresses. do you know what is the reason why we have to study English for 13 years at school? Because the techniques and methods we use for learning at school are so inefficient. Another reason is that don’t really study it for 13 years. You go to a class a few times per week and study it maximum 3 hours. Then during the summer holiday most students don’t study it at all so they go backwards instead of learning more. I always say for people who think that languages are hard that they have just used ineffective methods that aren’t good for them. If you use good methods to learn languages, they’ll be easy and enjoyable for you. I kinda agree that English Language nowadays is easy to learn. There are a lot of ways to learn in an easy, fun and exciting way. One of which is watching American movies, or listening to American artist music or reading English articles, magazines and books. There are also a lot of English language school that they can enroll. For those who don’t have much time to go to school they can enroll in an online class and they can take an English lesson for 25 minutes per day. I think that would be enough for those who are busy at work, If they will take it seriously and consistently, after 6 months to 1 year they can really improve, enhance and even develop their English language skill. But there are also some people who really find time to go to other countries just to study English Language. But for me personally, if I may advise, it’s always talking to people is one of the effective ways to learn and brush up English language skill. Yeah, there are so many ways to learn English nowadays. I agree with you that speaking with a native is probably the most effective way to learn it. People can find language partners or tutors on many sites like Preply, Italki, Hellotalk, etc. As our technology advances the need of a language is a must. English is one of the most used language. Mostly if you aim to run a big business English is the language you need to use to communicate with other people to present your company. I don’t think English language is difficult to learn because all grade schools had that subject and as we grow older we develop our comprehension skills with the help of environment. Here in the Philippines you cannot apply to any company if you don’t English language because that is primarily one of the requirements in having a job. That’s true. 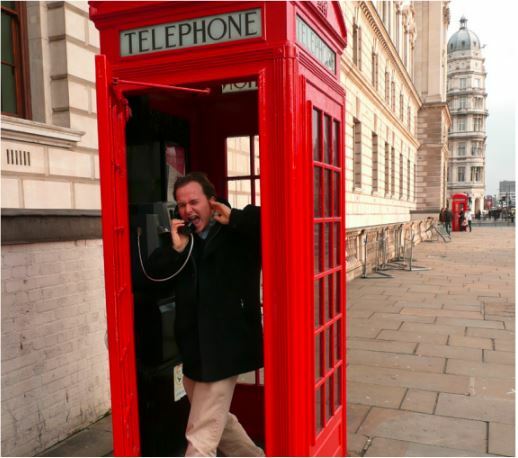 Being able to communicate in English opens lots of doors and opportunities. When I started blogging I was thinking whether I should do it in Finnish or in English. I figured out that there was a much greater potential if I would do it in English. I could reach people all over the world instead of just targeting people in Finland. That was a great choice. I don’t think so too. For me, it is not that hard to learn english language than the other languages. It is like our second mother tongue. Here in our country, we practice english language since grade school. To be honest it is hard from the start. But it will be easy soon just to remember the few rules in speaking english language. I started working in BPO as a Customer Service and growing up learning English from my University days have helped me a lot to easily converse with our U.S Customer. Years after, I had to transfer working with Australian Customer which I find it really difficult to deal with because of their accent. But then, after everyday of dealing with them, making transactions, and building rapport I was able to comfortably converse with them. I’d say it’s about making a habit of speaking and conversing, also watching movies or videos which has the same accent or language that you wanna learn. I find this article of yours very helpful. You’re right. It’s all about habits. Anyone can learn English, other language or any skill in general if he develops the habits to achieve it. Then repetition day in and day out makes a huge progress. I think since our universal language is English, we must learn and study how to speak or use it in terms of communicating to other foreigners. I’m a Filipino and in our country we are required to speak English inside or outside our school and also in work, we are required to communicate to others by speaking English. Although their are times that we speak in wrong grammar, we tried to correct it. Although speaking English is a huge advantage to us Filipino’s but sometimes some of the Filipinos firstly learn to speak English than Filipino language. I believe that learning first our very own language is what we should do first before learning other languages. Interesting point of view Bill. Why do you think we should first learn very own language before learning other languages? I’m just curious to hear. Nice article! I can only say: practice practice practice! Read English books, watch TV in English and talk to people in real life. That’s certainly true! Practice makes progress! Well, English is overall language, we can hear it all over the world. Even you go through other countries, you can talk English language to them. Asians can speak English properly, sometimes we make a sentence in paperwork or assignments in a wrong grammar, but sometimes, we can talk English to other foreigners who visited Asian countries like the Philippines. We Filipinos are good in speaking of English. We practice English in our schools, office or watching a TV Show with English Subtitles. English is the best language in the whole world, we can easily understand it. Although English is not my mother language but at least I can do my very best in utilizing it to the best of my knowledge. From the moment, I understand wording, English language was used to communicate to me and my family members, and getting enrolled in school helps as well. English language is a major course subject that one must pass in each class before being promoted to the next class. I think the package of “Why X Is Easy” for $67 is a good bargain considering the $222 aspect, and you get to have everything you need to master English language in no distant time. Yeah, $67 is not a bad price for all those packages. Exactly my point @Roope, $67 is nothing compared to the initial offer of over $200 for the former package. It’s clearly in the interest of users to make use of this offer of Why X Is Easy because it’s a much good bargain to me. English is our universal language, wherein people around the world are given an opportunity to communicate and understand one’s opinions and thoughts which made people stick together as one. Well, I am learning English too, for me to be able to understand around me that was all covered and written with English language esp. at school and I’m curious about how to be able to understand people in different races and with different languages. Just based from what I’ve experienced, during my childhood days, learning English was quite easy for me, how? When I was still in my age of 2-5, my mother used to show me some TV shows with characters that are using English language, in my early age, I really don’t have an idea about it but as I get used to watch it almost everyday, learning new things was easy for me. Back then, as I grew up. English has been my favorite subject at school, I get interested always reading books written in English since English is taught at school too. And by that, I learned more day by day. I even got the chance to communicate with a foreign friend with confidence of what I utter. I am more thankful upon learning our universal language, for it is really of great help to people around the world to stay connected. So, I should say, we must learn English for our advantage. Great thoughts! Thank you for sharing! I can easy to learn English language especially to the foreigners if that person is smart or something have a unique intellect. It depends upon a person because there are other people who are not able to learn English language because it is hard for them. It’s nice to have this thread. Glad i found this interesting topic. Well, in my opinion, english is not difficult or hard to learn only if you are interested and if you’re determine. It also depends on each persons minds. Some people are fast learners and some are slow learners. It may also depends on the environment or community you live. So for me it really depends on each individual. Other people learn english especially those people who attended school since its a school requirement(in some schools) but it doesn’t mean that they just easily learned it that way. Some of them have learned english because they already able to cope and practice it for a long time while others they learned it in a short time for they tend to practice and familiarized more because they are interested in that subject. Other people still have difficulty learning it while others, they already mastered it because we are different to each other. Especially those countries that are stick to their traditions and culture since they value and focus more their tradition and their native language is part of it,many of them are not particular in english and they hardly and are difficulty understand and speak in english language. It happens in Japan and Korea based only on my observations because I have watch their videos in youtube and that’s what I have observe. Since most of the countries now a days are already civilized, promoting the international language is a must. So several schools have already english subjects so the children will be able to learn english at a very young age which is for me a great advantage because they will already learn and can talk to others easily especially foreigners and as they grow older it will not be hard for them to get along with others. We are also in a business industry where in different countries contributes the products to another and so communication is a must and we use english for communicating with them. Sorry for my bad grammar, I am not that good but Im trying and still practicing english. It’s kinda hard for me especially I am too shy to talk with other people using this language because I usually used our native language. Sometimes It is embarrassing for me to talk in english because they might tease me that I am not good in english and since many people here in Philippines are judgemental,even in your small mistakes, it is very big deal for them so I am just more careful when talking to foreign language. I think you have a good grammar and English in general. I make several grammatical mistakes as well but it’s not so bad as long as the message goes through. I think the challenge you mention at the end of your post is pretty common all around the world. People are too afraid of making mistakes and that’s holding them back from learning new things and living a full life. Yeah, Benny Lewis courses have received so many positive reviews during the years. He really knows what he’s talking about.